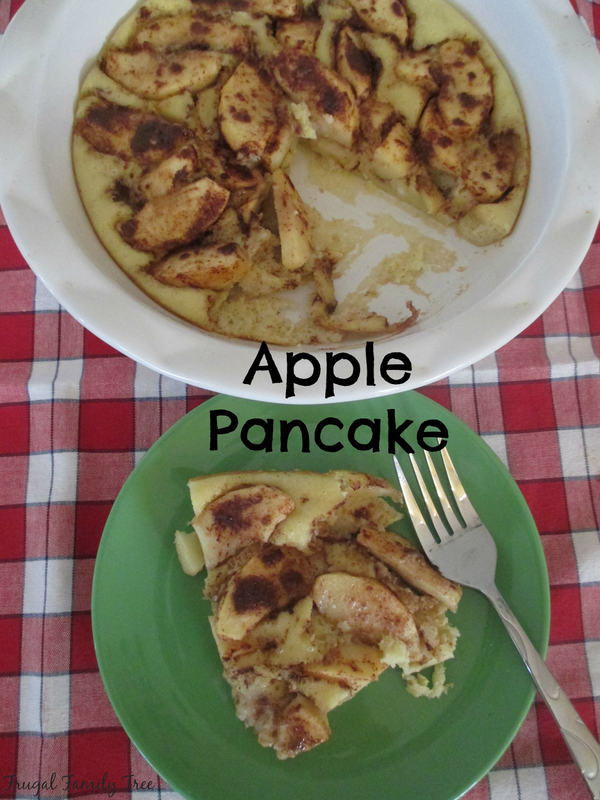 As we get deeper into fall, I want to start making more recipes that call for apples. 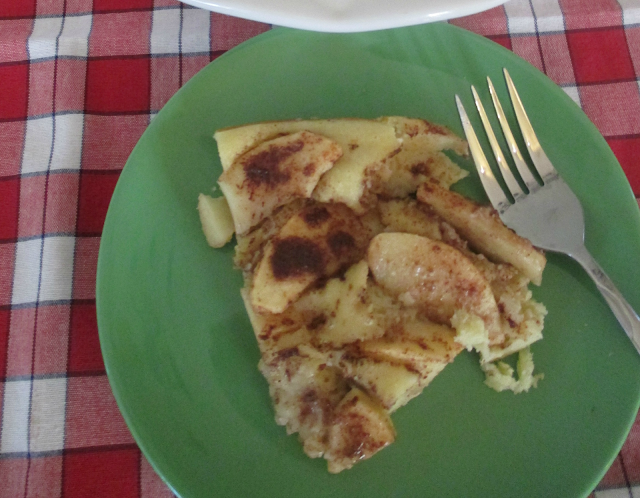 I love apple desserts, and my apple galette has become a family favorite. But apples are so versatile that they can be used for breakfast, dinner, and other kinds of recipes. This Apple Pancake is easy to make, even on a weekday morning when time is usually short. And with all the cold weather we've been having here in Washington State, it was so nice to have something warm and delicious to eat before going out for the day. Feel free to use any kind of apples you have on hand. Be sure to slice them fairly thin so that they soften up while baking on top of the pancake. Toss the apples in cinnamon, brown sugar, and a little melted butter. They smell wonderful already. After you make the batter, pour it into a ceramic or glass pie dish. Then arrange the apples on top. Mix together the pancake ingredients in a medium bowl. In a separate bowl, toss together the apples, brown sugar, cinnamon, and melted butter. Pour the batter into a well-greased ceramic or glass pie plate. Arrange apples on top of batter. Bake for 25-30 minutes, or until pancake is spongy but not wet. *Recipe slightly modified from BBB blog.